If your driveway is cracked or uneven, the possibility of standing water can be significantly increased. Water may run to the middle of the concrete, instead of running off into the street as it should. This can create a number of problems, including cars with wet or muddy tires being driven into your clean garage, and slip and fall hazards when the water freezes in the winter. 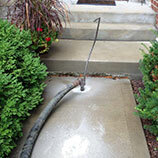 With concrete raising and repair from B&B, you can get rid of those problems. A cracked driveway isn’t as functional as it a repaired one, no matter if you park your cars there or the kids play basketball on it. If the low area is in the middle of the driveway, getting in and out of the car can be hazardous, and no one will want to play basketball when the ball could go shooting off in any direction during a dribble. 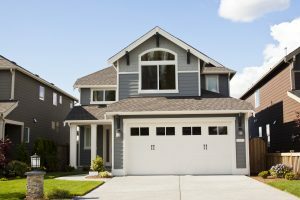 Apart from function, your home simply won’t look as good with an uneven driveway that always has standing water after a storm or when you’re watering the lawn. 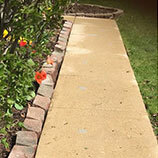 We can raise and repair the uneven sections, and resurface any cracks that have unsightly weeds growing through them. 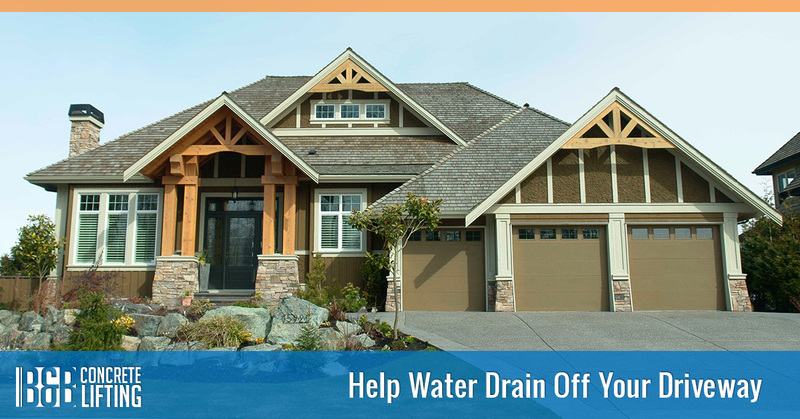 If you’re constantly battling driveway drainage problems, or you’re simply tired of how the area looks and functions, please contact us right away. 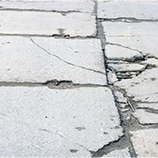 We’ll conduct a thorough evaluation of your concrete and recommend the ideal solution to the problem. 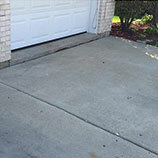 Once you’re satisfied with our recommendations, we’ll get to work immediately on raising and repairing your concrete.